Our website (trackingshipment.net) is not affiliated with ELTA. Please be advised that ELTA - tracking service has just been added to our service, and we haven't enough time to collect a lot of information about popular questions. At the moment all results are being represented without our correction. You can ask any question about it; we will find an answer to it. We will make a FAQ in the short time. Try our new professional courier track service too! Modern postal service providers do everything to the convenience of their real and potential customers. ELTA Post is not an exception to the rules. Everyone interested can easily check the status of the delivery item using the ELTA track service. The procedure is very easy – enter the ELTA tracking number in the required field and enjoy the report in the comfort of your home. The system deprives you of the necessity to visit post offices personally. Just take a mobile device, find the ELTA Tracking service, enter the tracking code and see the result. There is one more significant issue for everyone, who knows the logistics industry from the inside. If you are the one, who delivers packages or heavy cargoes on a daily business, you will appreciate k2track – an international tracking system. The most significant benefit of this portal is that it has a comprehensive database, encompassing the information about all logistics companies and providers of postal services. You can trust this service because it provides you with the truthful information about the location area of your cargo. ELTA is not just an ordinary logistics provider. This is a group of companies, specializing in offering high-rated postal services in Greece. The story of this company started long ago – in 1828. It started operating almost at the same time when the Greek State was established. Nowadays, ELTA group comprises several affiliated companies. Besides, the state holds more than 90 % of the capital. In these latter days, ELTA provides the citizens of Greece with its services and operates on the international level. Their mission is to work every day and try to comply with the demands of their clients. Furthermore, ELTA is not satisfied with what has already been achieved. They constantly work on their services and create new products, promoting innovation. 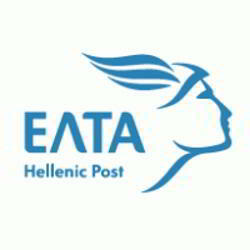 The Greek Postal regulator sets targets and ELTA achieves them successfully. What Type of Services does the Company Provide? ELTA serves for all types of customers; all requirements are met – business and personal ones. Furthermore, the ELTA delivery tracking system enables consumers of their services to track delivery items, being anywhere they want. · Letters and Parcels. All types of deliveries are included – domestic and international. The mail tracking service is included. · Retail Products. Prepaid and telephony products, corporate gifts, mail boxes, packaging, etc. Besides, if you are greatly concerned about the prices, you can download the pricelist on the official website. The ability to trace orders online (using the ELTA track system) is always offered to any customer who wishes to know the precise location area of their letters or packages.